DHAKA, Bangladesh – West Indies Women started their preparation for the ICC Women’s World T20 2014 on a bright note by winning its first warm-up match against South Africa Women by 52 runs at Krira Shikkha Protisthan in Savar, Bangladesh today. After electing to bat, West Indies overcame an early setback in the form of Kycia Knight’s wicket to post 123-4 in 20 overs, a fighting score at best. But, on the day, it was sufficient as South Africa was bowled out for 71 in 18.5 overs. Natasha McLean chipped in with a 24-ball 26 before being caught behind off Dane van Niekerk, but it was Stafanie Taylor’s unbeaten 45 that made all the difference. Taylor’s innings included three fours and six. When Sun Luus dismissed Deandra Dottin cheaply in the 11th over, West Indies was 71-3. 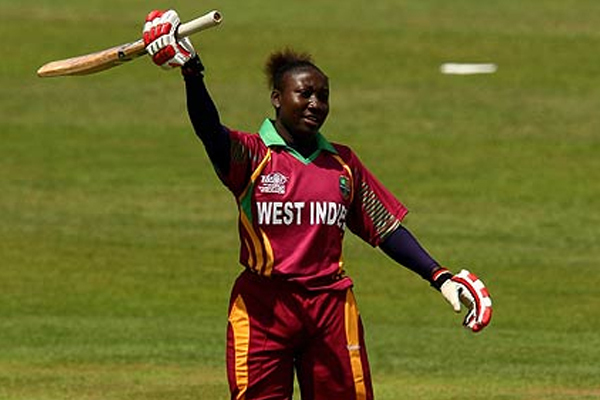 Taylor and Chinelle Henry then associated for a 54-run stand that provided West Indies some respectability. In her four overs, Shabnim Ismail returned 2-12, while van Niekerk and Luus took one wicket apiece. A brilliant effort by West Indies’ bowlers then ensured that South Africa surrendered without putting up a real fight. Except for Trisha Chetty and Yolandi van der Westhuizen, who top scored with 24, none of the other South Africa batters could even reach double figures. Anisa Mohammed, the right-arm spinner, and medium-pacer Dottin returned figures of 2-6 and 2-7 respectively. West Indies plays their second and final warm-up match against Australia on Friday. West Indies Women Innings: 123/4 (20 Overs). Stafanie Taylor 45*, Natasha McLean 26, Chinelle Henry 25, Kycia Knight 11; Shabnim Ismail 4-1-12-2, Suné Luus 2-0-8-1, Dane van Niekerk 2-0-9-1, Marcia Letsoalo 2-0-11-0. South Africa Women Innings: 71 All Out (18.5 Overs). Yolandi van der Westhuizen 24, Trisha Chetty+ 16, Mignon du Preez* 7, Marizanne Kapp 5; Anisa Mohammed 3-0-6-2, Deandra Dottin 2-0-7-2, Tremayne Smartt 2.5-0-8-1, Shemaine Campbelle 2-0-6-1.